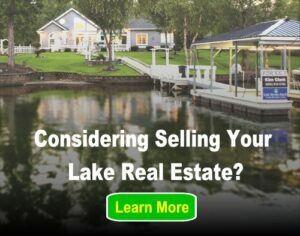 So you want a lake home but aren’t quite sure where to buy? Why not on New York’s Oneida Lake? Check out these top four reasons why you need a lake home on Oneida Lake and get shopping! The largest lake located entirely within the state, Oneida Lake is surrounded by some of the best haunts in Upstate New York. The reservoir has multiple access points in Madison, Oswego, Onieda and Onondaga counties, and surrounding municipalities include Cicero, Constantia, Lenox, Sullivan, West Monroe and Vienna. Syracuse – known for its snow, snow and more snow – is just 10 miles to the lake’s south. And a 98-mile drive to the west will bring Oneida Lake residents to Rochester, where they can enjoy an infamous “Garbage Plate” at Nick Tahou’s. If Oneidanites drive just two hours the opposite direction they’ll find historic Albany, the capital of New York. This massive glacial lake formed more than 12,000 years ago, at the end of the last ice age. Oneida Lake, once a small piece of what was once Lake Iroquois, stretches an estimated 22 miles long and 5.5 miles wide. The lake’s surface area spans more than 50,000 acres and boasts roughly 77 miles of shoreline. Onieda Lake’s first inhabitants referred to it as “Tsioqui,” or “white water,” in honor of their fascination with the lake’s massive waves. Today, the lake’s name honors its earliest settlers: the Oneida Tribe of Iroquois Native Americans. The first white settlers arrived in the late 1790s; however, populations remained sparse until the 1830s. During this time Oneida Lake welcomed thousands of New England farmers who flocked to its fertile soils. Fishing was the lake’s primary industry until New England farming took over. As time passed, Oneida Lake became an agriculturally-driven economy, supplemented by the glass industry in the nineteenth century. Dubbed the “Coney Island of Central New York,” the Oneida Lake area ushered in a burgeoning tourism scene in the 1880s and 90s. Hotels and two amusement parks dotted Sylvan and Verona beaches, while the railroad made it possible for nearly 50,000 visitors to vacation on Oneida Lake each weekend. Sylvan Beach Amusement Park, one of the lake’s original tourist attractions, continues to attract hundreds of patrons each year with it’s old-fashioned rides and vintage arcade games. Another popular attraction near Oneida Lake is 1,735-acre Verona Beach State Park. Located on Oneida Lake’s eastern shore, the park features 47 campsites, nature trails and Teddy’s Treats, seasonal fast-food restaurant. Oneida Lake-area visitors and residents alike agree that Villa Verona Vineyard and Bistro is worth the quick 20-minute drive to Verona. In addition to 15 different wines, the venue is also home to a spa and a farm-to-table bistro that specializes in fine dining food in a casual dining atmosphere. Bird watching, though not an attraction, is another favorite pasttime around Oneida Lake. 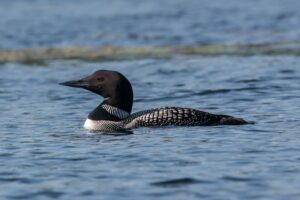 Watchers enjoy seeing loons, buffleheads and mergansers to name a few. Since fishing was, at one time, THE industry of the Oneida Lake area, it’s no surprise the number of different fish that inhabit the lake’s waters. Among this variety, Oneida Lake is home to pumpkinseed sunfish, freshwater drum, bowfin, rock bass and tiger musky. Anglers also commonly catch chain pickerel, black crappie, common carp and bluegill. However, Oneida Lake is renowned for its walleye and yellow perch populations. In fact, this reservoir is stocked with 150 million walleye fry (just-hatched babies) each year and serves as New York state’s main source of walleye eggs. Bass fishing is also another great attribute of Oneida Lake, which is no stranger to FLW and Bassmaster tournaments. Not convinced you need a lake home on Oneida Lake just yet? Click on the Oneida Lake link for more information about your next home sweet home.